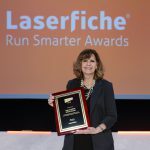 Laserfiche has announced the winners of its annual Run Smarter® Awards program, including government agencies in the United Arab Emirates, Mexico and the United States. Based in Dubai, the UAE’s Ministry of Labour replaced its manual contract management system with Laserfiche, improving information accuracy and staff collaboration. Mexico’s Instituto de Información e Investigación Geográfica, Estadística y Catastral (IGECEM), a public organization that houses the State of Mexico’s geographic, statistical and property management information registry, uses Laserfiche to allow citizens to instantly submit land use information, boosting productivity by 30 percent and benefiting over 3.7 million property owners in the 125 municipalities of the State of Mexico—as well as improving the reputation of the municipal government. The Community Development Commission of the County of Los Angeles is an affordable housing and community and economic development agency, primarily funded by the U.S. Department of Housing and Urban Development, with a 2014-2015 Fiscal Year budget of $474 million and a total staff of more than 500. 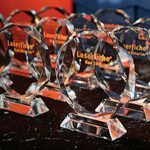 It is standardizing on Laserfiche to implement organization-wide Transparent Records Management and help compliance with federal regulations.